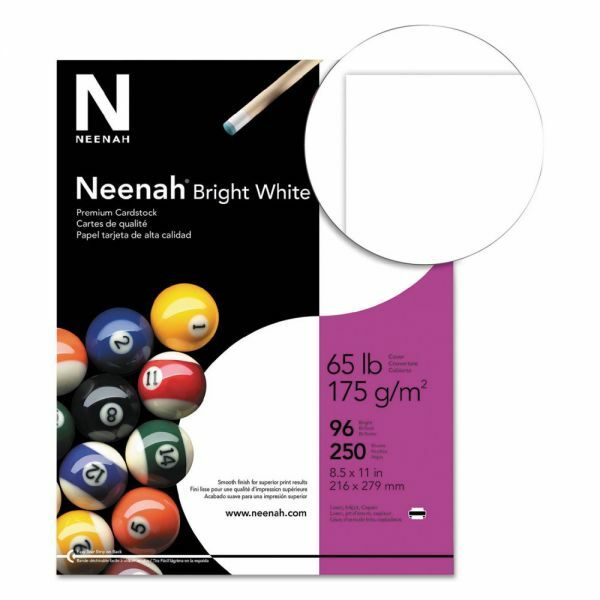 This heavyweight card stock is great for any project or presentation. 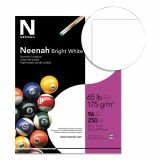 Neenah Bright White Card Stock, Smooth, 65lb, 96 Bright, 8 1/2 x 11, White, 250 Sheets - Bright White Card Stock with 65 lb. weight gives you the professional look and results you expect. This heavyweight card stock is great for any project or presentation. Very smooth finish with a high brightness provides the ultimate print contrast. Use for covers, cards, brochures, posters and more. Compatible with laser and inkjet printers. Acid-free.